For many children Easter can center around egg hunts, Easter baskets, and chocolate candy. How do you help them understand what Holy Week and Easter is all about? 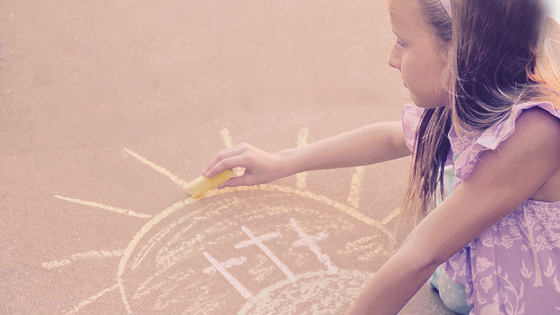 Here are four fun, thought-provoking ideas to help you teach children about Jesus' death and celebrate His resurrection with them on Easter Sunday. Holy Week is observed as the last week of Lent and begins with the celebration of Palm Sunday one week before Easter Sunday. To start off the week, teach kids about Jesus’ humble and triumphant entrance into Jerusalem on a donkey by using object lessons and storytelling activities connected to Holy Week Scripture readings. Try to use as many senses as possible to help children grasp the meaning of Holy Week and Easter. Active learning with crafts and puzzles helps children understand what Jesus accomplished for us on the cross. Crafts can also become keepsakes so that kids are reminded throughout the season that Jesus is risen! This next crafty idea is a great way to involve children at the beginning of the worship service. In the week leading up to the Easter Sunday service, kids create and decorate individual letter posters that spell out “Alleluia.” Alternate messages can be “He is Risen” or “Jesus Lives.” The kids can lead the service processional with this triumphant message to remind themselves, as well as the congregation, of Jesus’ glory. Music is a great way to help teach children the meaning of the Easter season. Being a part of special music offering or a children’s choir during Holy Week and Easter services helps them observe Jesus’ death and celebrate His resurrection through words and song. If your family owns a hymnal, try singing or going over the stanzas of a Lenten, Holy Week, or Easter hymn at home each week before church. 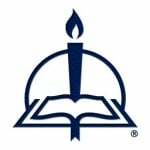 Check online to see if there are recordings of any of the hymns or special music selections that families can listen to together. Ask your pastor about observing Easter morning with a different kind of processional. For example, some churches set up an Easter flower cross at the front of the church for the congregation to insert flowers in as a reminder that Jesus lives. This can be accomplished during the pre-service processional music or during the opening hymn. Kids will find meaning in this joyful processional as they worship with the rest of the church body to create a colorful, beautiful reminder of life and hope. Remind kids that the cause for celebration isn’t only appropriate during Holy Week and Easter. We get to celebrate His glorious resurrection and praise Him during Easter and year-round. That includes praising Him at VBS! For full access to lesson and activity pages, download free resources for kids.